The first-ever Prisoner’s Family Conference was held in El Paso, Texas in February 2009. With attendees from across the country it was considered a resounding success. Subsequent conferences have expanded and confirmed the widespread interest in the prison family. With consistent interest from abroad bringing international attendees and presenters to the conference since 2013, the conference officially became InterNational in 2015. Conferences have been held in Orlando, Florida, Portland, Oregon, Albuquerque, New Mexico. Houston, Texas and finally Dallas, Texas where we believe we have found a “home” for the conference. In 2012 conference attendees initiated an active role in advocacy on behalf of the prison family with a coalition of attendees drafting the first-ever Prison Family Bill of Rights to be used as a talking points and advocacy tool on behalf of the prison family. The Advocacy in Action Coalition endeavors to unite all individuals, groups and organizations concerned with the unabated growth of the prison industrial complex in the United States and less than equitable and humane treatment of prisoners and their loved ones.. The movement was affirmed by over seventy individuals and representatives of established organizations at the 2015 conference. Subsequently, the list of confirmed Coalition members has continued to grow, now standing at well over 100 individuals and organizations. A working committee of the Coalition drafted a White Paper to validate and give strong credibility our concerns. The Coalition’s working Task Force has researched, developed and drafted several advocacy documented for use as talking points with legislators and criminal justice officials as we strive for needed reforms. 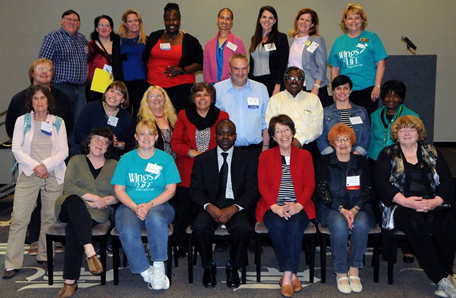 The 2015 conference also saw the launching of the International Network for Children with Incarcerated Parents, with attendees from nine different countries setting advocacy in motion to determine the rights and welfare of children of prisoners world-wide. Advocacy efforts strengthen and expand each year. 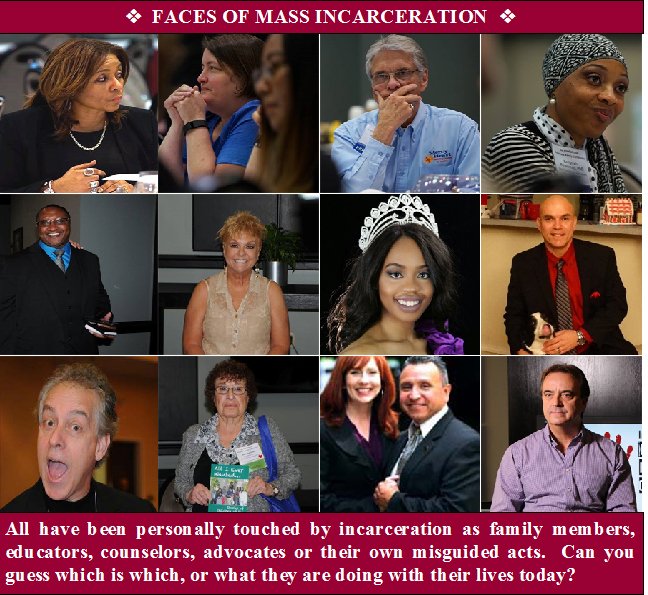 At the 2016 conference attendees were filmed and interviewed for a new documentary, Faces of Mass Incarceration© to humanize the prisoner and prison family in an effort to minimize the Empathy Gap hindering significant criminal justice reform. The documentary is now being used to introduce the mainstream community to members of the prison family in a non-threatening manner to dispel many erroneous myths and stereotypes that cause community members to fear and avoid returning prisoners and their loved ones. The coalition is now referring to the fear as an EMPATHY GAP that prevents those not yet touched by mass incarceration from caring about those who have experienced incarceration. One unexpected outcome of the advocacy efforts of the conference occurred when the conference initiator and chair partnered with a current prisoner in authoring a powerful guide from arrest through re-entry for prison families and those serving prison families in the fields of criminal justice, counseling, mental health and ministry. The book has subsequently been adopted as the text for college and university counseling and criminal justice classes. 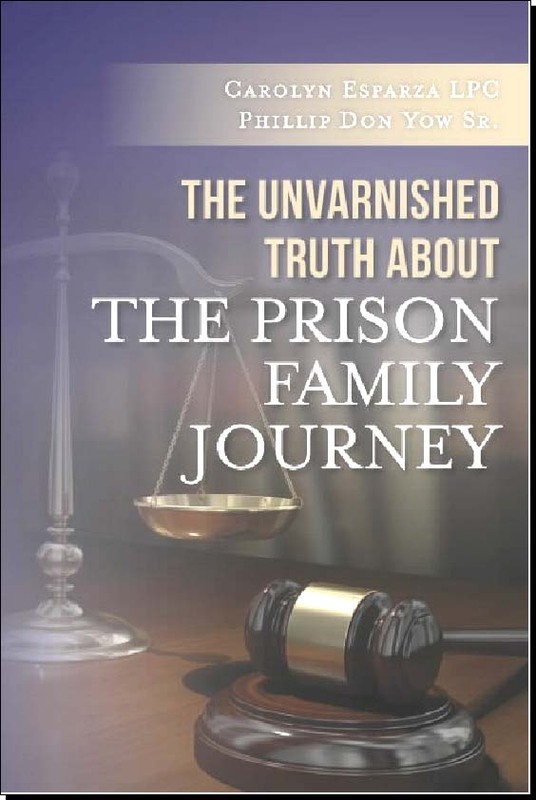 The release of The Unvarnished Truth about the Prison Family Journey opened doors for speaking engagements across the country. To schedule a presentation, e-mail a request to info@prisonersfamilyconference.org. The Prisoner’s Family Conference provides vital information for improving the quality of life for all who are affected by the criminal justice system.